This Jalapeño Bloody Mary is the perfect spicy Bloody Mary recipe! Made with my simple jalapeño infused vodka, it gives you the right kick you need for your Sunday brunch cocktail recipe! 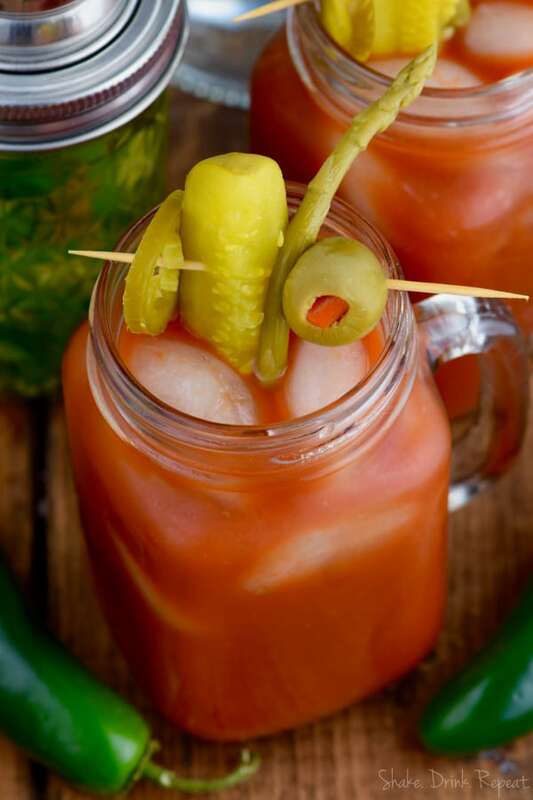 The iconic Bloody Mary is practically synonymous with brunch. And once you know how to make it, you can flavor it up a thousand ways. Try a Buffalo Bloody Mary, this Asian Bloody Mary Cocktail or for a different vodka twist this Feisty Cucumber Mint Martini. 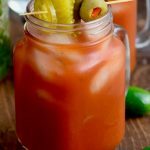 But if super spicy is what you crave, this Jalapeno Bloody Mary will knock your socks right off! It’s the perfect cocktail to serve at your next patio brunch, because it pairs so well with egg dishes and other favorite brunch foods. 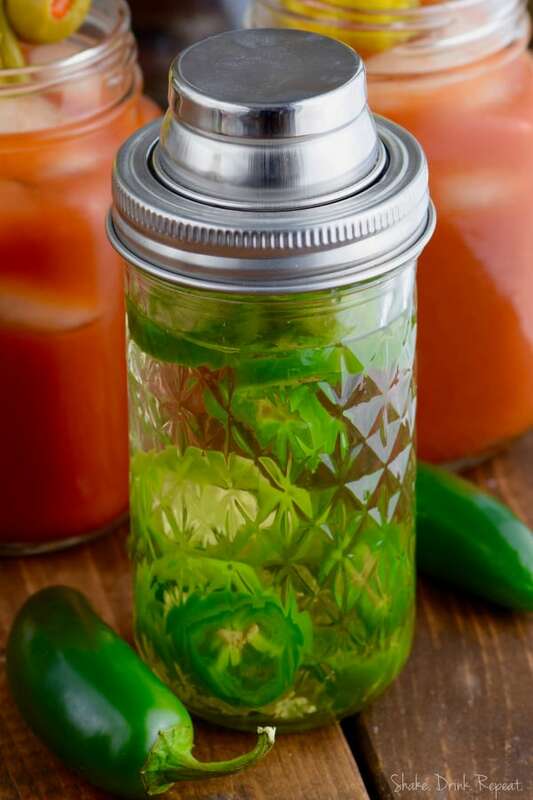 WHAT INGREDIENTS DO YOU NEED TO MAKE A JALAPENO BLOODY MARY? Start with a smooth and rich tomato juice. You can easily make your own with some ripe tomatoes and a blender, but there are also great options at your grocery store. My spicy jalapeño infused vodka. It’s simple to make and it oh, so good. Make a double batch so you can make a Jalapeño Moscow Mule after brunch. Then you’ll need a dash of Worcestershire sauce. This will will add so much flavor and depth to your cocktail. Some salt and pepper to taste ought to finish it up just right. Some celery, jalapeno, pickle, whatever you want for garnish, pour over ice and bam! You’re ready to serve up the best batch of brunch cocktails ever. Trust me, you’ll want to host brunch again and again. 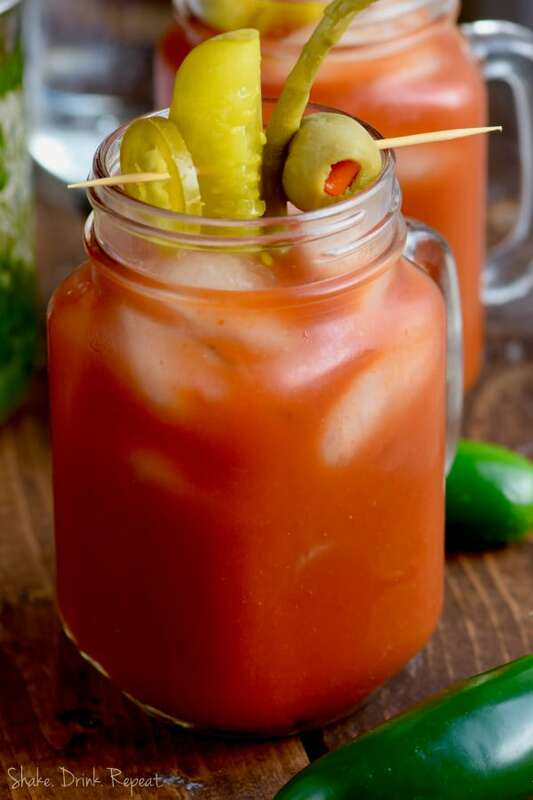 And for some other mouth watering recipes, try this Candied Bacon Bloody Mary or a Bloody Mary with Roasted Tomatillos.